Home > Blog > What Is Natural Phentermine? For those of you unable to get a prescription for phentermine, the idea of ‘natural phentermine’ might seem like the perfect alternative: the weight-loss benefits of phentermine, all-natural ingredients and no need to get a prescription. However, it’s important to know exactly what you’re buying into, and what you’re putting in your body when it comes to seeking out alternatives for phentermine. So, we’re here to explain exactly what natural phentermine is, and whether it could work for you. Natural, or herbal, phentermine is often used as a name or description for supplements designed to imitate the effects of the prescription medication phentermine. These supplements are sold in health food stores or online without a prescription, but boast the same effects as phentermine, such as appetite suppression, a boost of added energy, a faster metabolism, and even the promise of fat-burning. A product called Herbal Phentermine was marketed by GSCM Ventures Inc. until 2006 as a natural phentermine, but was withdrawn from sale following an investigation by the FDA. The FDA did not approve of the product using the term ‘phentermine’ in the product title, and did not support the claims listed on the website; the sellers declared that herbal phentermine was a drug intended for use in the cure or treatment of obesity as a disease, and could be considered as a substitute for prescription phentermine. Accordingly, the FDA instructed GSCM Ventures Inc. to change the name of their product or to submit for FDA approval, but the company chose to close the website and stop the sale of Herbal Phentermine instead. Since this incident, the manufacturers of weight loss supplements have been careful to avoid including the name phentermine in their products, but many companies continue to use product names which are easily confused with the name phentermine, as we explain here. However, many weight loss supplements still continue to describe or market their products as natural phentermine. Generally, if these products do list their ingredients they are likely to include known natural weight-loss aids such as bitter orange, guarana, green coffee bean extract, raspberry ketones, garcinia cambogia, and cayenne pepper. However, many weight loss supplements marketing themselves as natural or herbal alternatives to phentermine often fail to include a list of ingredients, so it is not always obvious if these products are in fact natural or how they are supposed to work as they promise. What’s The Difference Between Prescription Phentermine And Natural Phentermine? For people unsure of how to get phentermine without a prescription, natural phentermine might seem like the perfect alternative. However, it’s important to recognize that the concept of natural phentermine is a contradiction in terms; the ingredient which makes phentermine effective, phentermine HCL, is a controlled substance with a similar structure to amphetamine, meaning that anything sold online cannot include this essential phentermine ingredient. So, while ‘natural phentermine’ may be natural, it is not phentermine and does not bear any similarity to phentermine in terms of ingredients. Aside from the difference in ingredients, products marketing themselves as natural phentermine do not require a prescription and can be bought easily online or in health food stores and pharmacies. In contrast, while phentermine used to be available online, it is now more strictly regulated and is only available on prescription following a face-to-face consultation with a doctor. Another advantage for many people seeking an alternative to phentermine is that natural phentermine alternatives do not generally have any side effects, unlike phentermine which can unfortunately cause a variety of side effects, ranging from dry mouth, insomnia and mood swings to more serious issues, such as heart problems. There are also many people who are reluctant to take medications in general, so more natural alternatives could be better suited to their own personal lifestyle choices. Lastly, unlike medications, weight loss supplements are not subject to FDA approval, so while phentermine has been tested and approved as an effective weight loss medication, supplements marketed as natural phentermine do not have to be tested in the same way. This means that these alternatives can therefore vary in effectiveness, and may or may not give you the same results as you would get from phentermine. Which Phentermine Alternative Is Best For Me? If you need help losing weight and are unable to get a prescription for phentermine, then there are many alternatives online, some of which market themselves as natural phentermine. However, if you are searching online for an alternative to phentermine then we would urge you to find out more about the ingredients of that particular supplement and how it works to help you lose weight. You should also always make sure that the company has a good return policy before purchasing. Even phentermine doesn’t work for everyone, as many users in our phentermine support group on Facebook often complain, so it’s good to know that if the supplement you’ve chosen doesn’t deliver on the effects it’s promised, then you can at least get your money back. For these reasons, the phentermine alternative we recommend is Phen Caps. 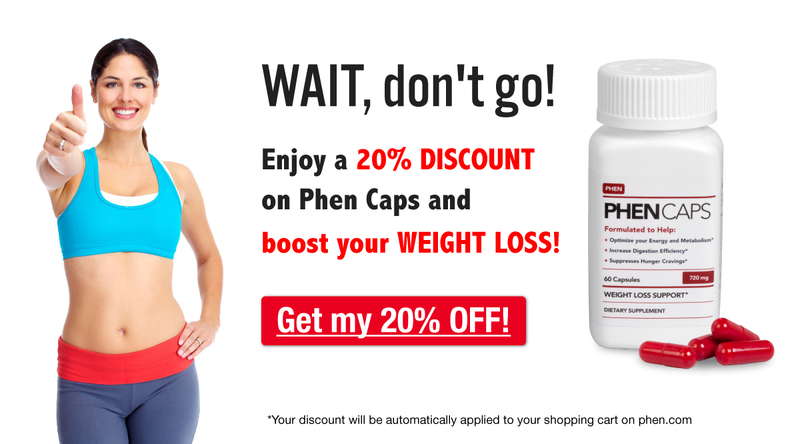 Phen Caps have a combination of natural active ingredients which boost energy and suppress appetite, and they have received a lot of good reviews from customers. Lastly, the company offers a 30 day money back guarantee, including opened bottles, so you can be assured that if you’re not satisfied then you can get a full refund. I was taking this with a prescription. But it started to make me feel inch on my face and head. Is that a side effect also? Yes, rashes are a side effect of phentermine, but this can indicate that you might be allergic to it. We would advise you speak to your doctor to see what he or she thinks about this effect.